“T-Rex doesn’t want to be fed. He wants to hunt.” Just like the titans, this dinosaur is busting through the wall and ready to eat some unsuspecting humans! This red monotone design captures the terror, the fear of the moment. I enjoy the large T-Rex head dominating the top center. Having both the dinosaur’s head and the main human figure both in focus creates tension. 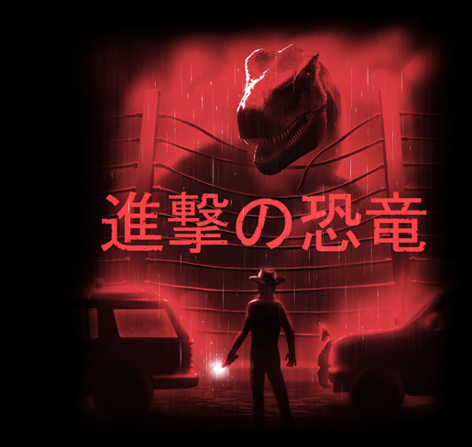 The rest of the design, including the T-Rex’s body is out of focus and hazy which creates depth and is wonderfully descriptive without taking away from the emotion between the man and the dinosaur. The small highlight of white also nicely leads the eye between both figures. I also enjoy that the wall motif is not forced upon this design, but is a natural part of the design and occurs in the film. Kudos! “Do you wonder ever if you’re a bad man?” “No. I don’t wonder, Marty. World needs bad men. We keep the other bad men from the door.” Wonderfully intriguing spiral pattern, both to the detectives solving the cases and as a pattern on a shirt design. 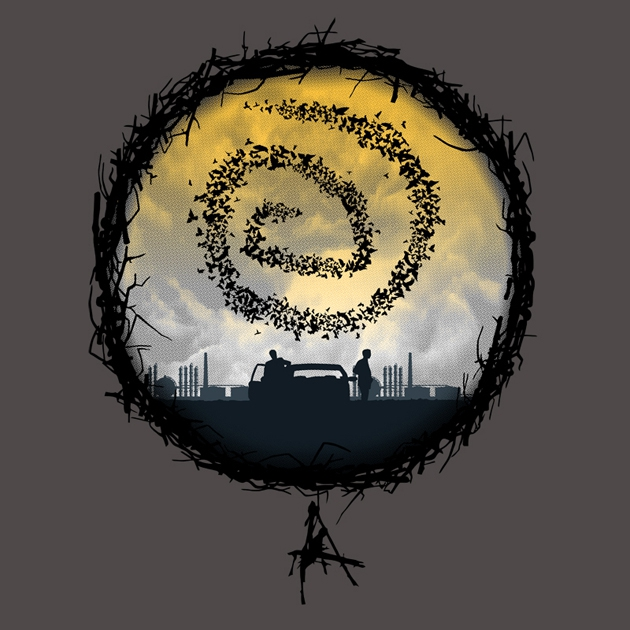 I enjoy this “dream catcher”-like composition. The wild strokes resemble sticks and twigs used to create this intricate handcrafted frame. The color gradation nicely shows aerial depth. The mysterious, yellow-colored haze hovers above calling attention. This”yellow king” looms above Rust and Marty, casting a shadow over their domain. Hey, justice is supposed to be blind right? I very much enjoy the circular waves behind the figure. 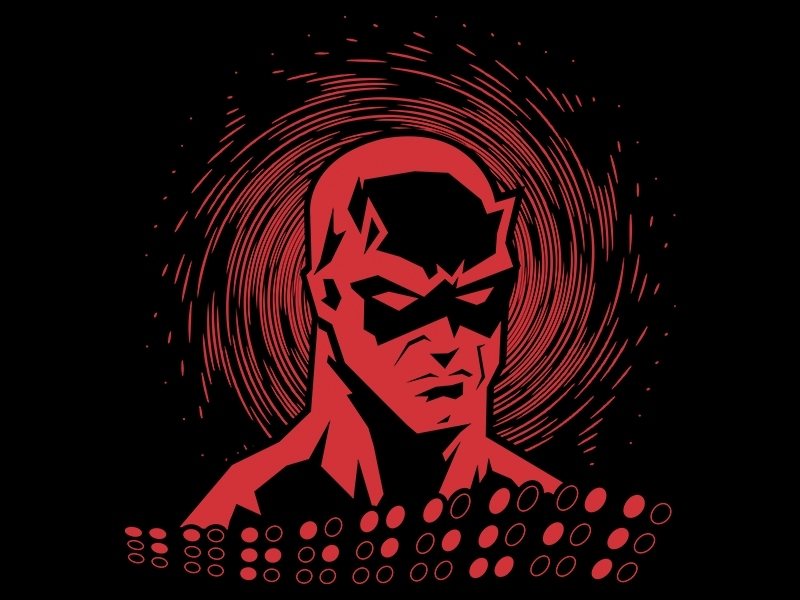 They appear to be sound waves, which Daredevil’s heightened senses detect as a sort of “echo location”, due to his blindness. Wonderful braille pattern incorporated in the design fits the character’s motif. Very clever!